The indictment alleges that from January 2008 through March 2011, Goodwin devised a scheme to defraud the Texas Medicaid program by billing the program more than $2 million for services he claimed he provided, when in fact, as he well knew, some of the services were not medically necessary, or dental assistants provided those services when no dentist or orthodontist was present to supervise, and even when present, did not directly supervise or provide any services. As a result of this scheme, Medicaid paid more than $1.5 million for claims filed by Goodwin. 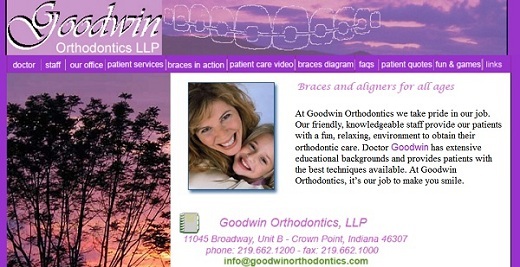 As part of his scheme, according to the indictment, Goodwin practiced orthodontic dentistry approximately two weeks each month at Goodwin Orthodontics in Amarillo and approximately two weeks each month at his Indiana office. In order to maximize the number of Medicaid patients seen, employees regularly scheduled more than 100 patients per day and intentionally scheduled large numbers of Medicaid patients for days when Goodwin was scheduled to be out of town. To accommodate the large volume of patients, Goodwin directed dental assistants to perform impermissible acts, including comprehensive examinations, diagnoses and treatment planning for Medicaid patients when he knew that only licensed dentists were permitted to perform those acts. In many cases, dental assistants installed Medicaid patients’ braces before Goodwin had ever examined the patients, yet his instructed employees and billing staff to falsely state on Medicaid claims that he was the performing provider for all services impermissibly delegated to and performed by dental assistants. A Marquette University alumni couple have donated $1 million toward expansion efforts at Marquette’s dentistry school, according to a news release. Dr. Jeff Moos and his wife, Beth, donated the money to the Marquette University School of Dentistry Building for the Future campaign. Jeff Moos is a 1983 graduate of the dental school and part owner and CEO of Midwest and Mountain Dental. Beth Moos graduated from Marquette in 1979 with a physical therapy degree and practices at Sacred Heart Hospital in Eau Claire. They live in Mondovi. Their oldest son is in his third year at the dental school, and another son will start dental school this fall. The dental school will name the faculty practice clinic in Jeff and Beth’s honor, the release said. According to a report from the Gwinnett County Police Department, a 37-year-old woman, who used to be a dental assistant, has been charged for practicing dentistry without a license out of her trailer. On inspecting the case, police officers found a fully equipped dental office in the woman's mobile home. According to the incident report from Aug. 3, the police department was alerted to the illegal practice when an anonymous caller informed the department that a Norcross resident was operating a dentist's office out of her trailer. A police officer visited the location specified by the caller and confronted Martina Ramirez-Villa with the charge. The officer put on record that although Ramirez spoke little English she seemed to understand his questions. She first denied that there was a dentist's office on the premises but she suddenly got choked up and stated, "I'm sorry I'll stop doing it." The officer asked her what she would stop doing and she replied, "working on teeth." Further inquiry revealed that she had treated people's teeth in the bedroom of her trailer. On inspecting the room, the officer discovered dental office equipment, including a dental chair, lamp and a number of dental tools. In some small drawers next to the dental chair, the officer found several small vials of clear liquid, which was later identified as Octocaine, a lidocaine hydrochloride and epinephrine injection. In addition, several large bottles of pills labeled ibuprofen (800 mg) and amoxicillin (500 mg) were found in other drawers. The study confirms what doctors already know about eating cholesterol and cardiovascular disease, says Dr, Gordon Tomaselli, chief of cardiology at John Hopkins University School of Medicine and the former president of the American Heart Association. "Cholesterol intake should be limited to 300 milligrams a day, particularly in people who have underlying heart disease," he says.